"In operation from 1942 to 1946, Camp Howze served as an infantry training facility during World War II. It was named for General Robert Lee Howze (1864-1926), a native Texan whose distinguished career in the United States Army began with his graduation from West Point and included service in France, Puerto Rico, Germany, a South Dakota Indian War and the Philippine Insurrection, 1899-1902. Clifford McMahon of the Gainesville Chamber of Commerce first contacted Federal authorities with the idea of establishing a military installation here. Attracted by the community's active endorsement of the plan, the government activated Camp Howze on August 17, 1942, under the command of Colonel John P. Wheeler. In addition to infantry training, the base was also the site of a German prisoner of war camp and an air support command base, now part of the Gainesville Municipal Airport. Services provided for the soldiers included camp exchanges, libraries, chapels, theaters, service clubs and a base newspaper, the "Camp Howze Howitzer." The economic and social impact of Camp Howze on Gainesville was significant and was instrumental in the town's rapid growth and development. (1982)"
So apparently in the 1940's, near Gainesville, TX, the Army operated a Training Base/POW Camp. But if you go to the location today all you see is an empty field behind an historical marker. That's because the Army had always intended it to be a temporary facility. The buildings were not made to last and after the war they were torn down. Some concrete foundations can still be seen if anyone wants to look for them. 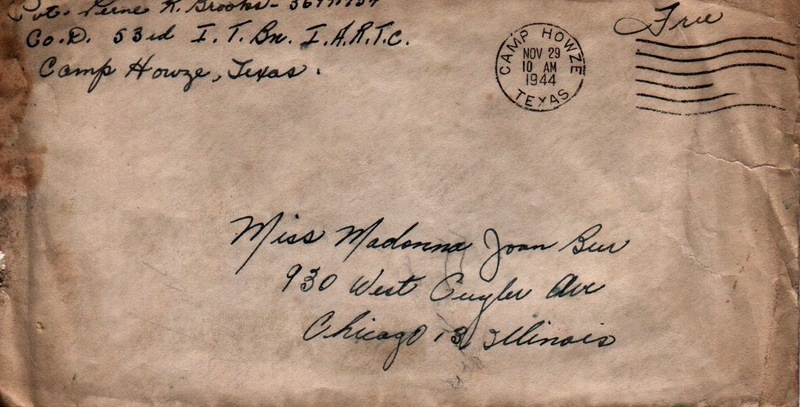 In a letter to his sweetheart (which can be read along with tons of other old letters on this great site), PVT. Prune R. Brooks mentioned the shoddiness of the buildings, helping to explain even more why there's nothing left of them today. Well honey here I am down in Camp Houze Texas and what a hell of a camp. The buildings are so old and so about to fall down. But the south is very beautiful and the girls are pretty as the devil. I stopped off in Fort Worth Sunday and went roller skating and met a few very nice girls and had lots of fun. But if you are in the mood to stop during your drive along I-35 to snap some pics of something historic, you can hit the Texas Travel Information Center in Gainesville (and take a much needed restroom break) to see the other historic World War II monument. Look behind the great big Texas photo op and you'll find the 103rd Infantry Division Monument. Sculpted by artist Edd Hayes and titled "A Call to Duty," the monument pays homage to the 103rd who trained, in part, at Camp Howze. It's amazing what you can learn along the roadside. 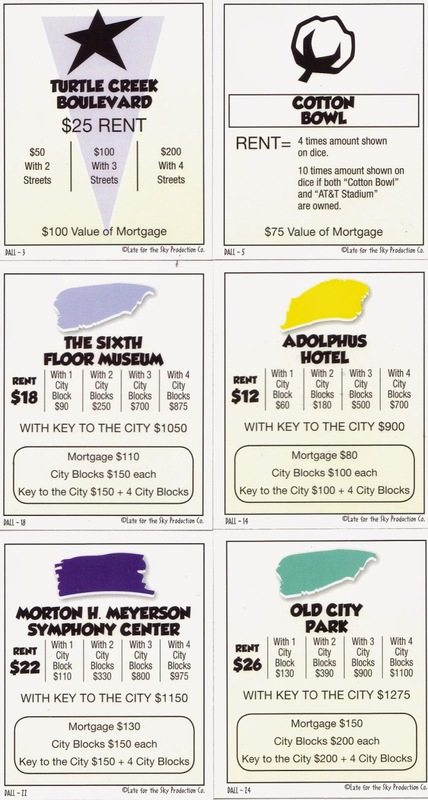 At some point, on a birthday or at Christmas, you have probably received a themed version of Monopoly from a well intentioned relative. Regardless of your varied interests, there is most likely a version of the popular board game meant to stuff your stocking. To further our speculation, you probably opened it once, maybe even played it, and then put it on the shelf reserved for things you never touch. My final complaint, and biggest disappointment, is the game pieces. 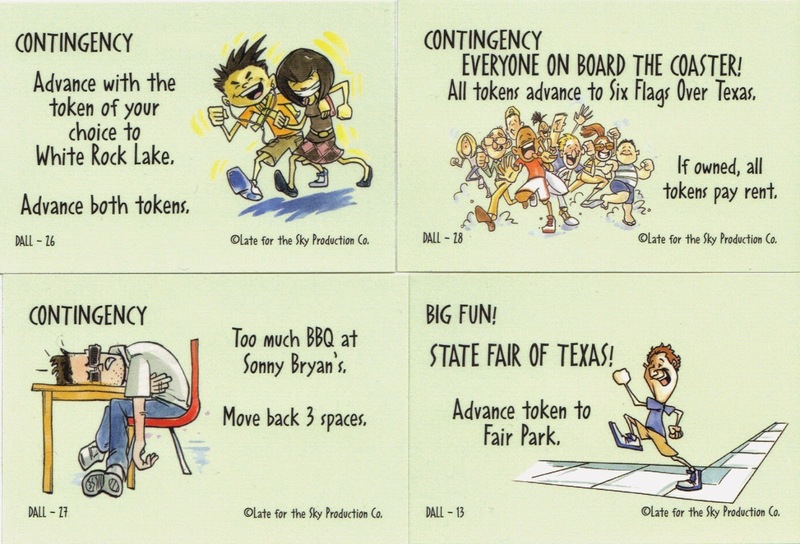 The totally generic tokens include a hand (maybe for Big Tex's hand? ), a star (Lone Star, ok I get it but c'mon), a heart, a cowboy boot and a cowboy hat. 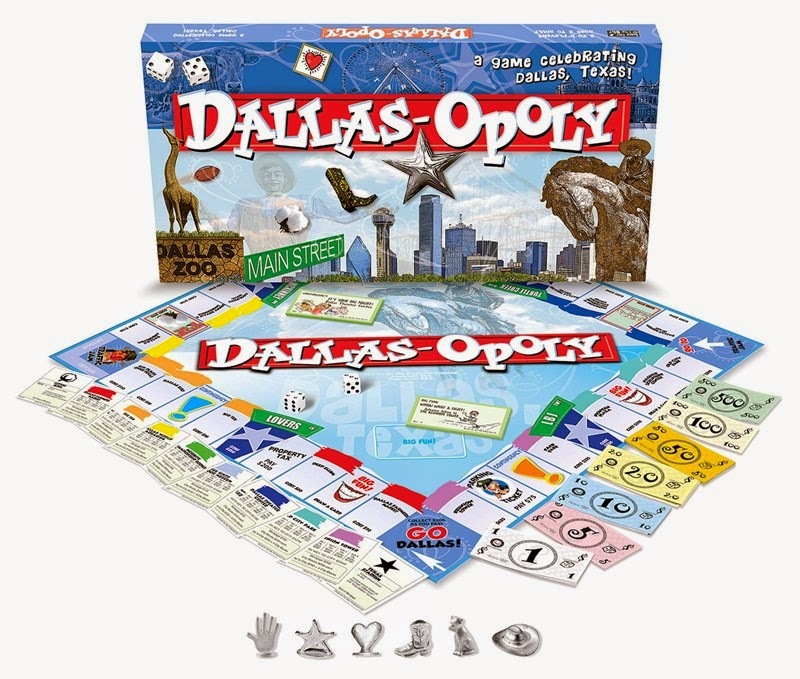 Sure, some of these can be related to Dallas but you can't tell me that most of these don't show up in Houston-opoly or even Sante Fe-opoly. Making the pieces Reunion Tower, the Woofus, the Dallas Zoo Giraffe, the Pegasus, the Chapel of Thanksgiving and Big Tex would have gone a long way towards saving this game. I can only hope that the makers of "Dallas Scrabble" and "Dallas Candyland" are taking note of this.